People wait in line to vote at a polling place on the first day of early voting on Oct. 22 in Houston. Texas Attorney General Ken Paxton has been aggressively prosecuting people for voting violations, which critics argue is designed to intimidate non-white voters. Texas Attorney General Ken Paxton, speaking to reporters in 2016. Paxton's office has made voter fraud a major focus of its efforts even though election experts say incidences of fraud are very rare. "Anyone attempting to deprive the people of Texas of their voice in either state or federal elections will be brought to justice and penalized by the full extent of the law," said Paxton, a Republican, in a September statement issued by his office celebrating the guilty plea of a Mexican national who illegally cast a ballot. "The state of Texas is filing these charges at a more rapid rate," said Beth Stevens, a staff attorney with the Texas Civil Rights Project. "Not because the instances are increasing, but their prosecutorial discretion in filing is increasing." The prosecution push comes at a time when voter turnout is expected to surge during midterm elections and voting issues have become increasingly politicized. The stakes are particularly high in Texas, where there's a spirited U.S. Senate race underway and multiple Republican U.S. House members face strong competition from Democrats for the first time in years. In the name of combating voter fraud, Texas and many other Republican-dominated states have enacted strict voter ID laws and other measures that have the effect of making it more difficult to vote. Meanwhile, Democratic-leaning states are pursuing policies such as automatic voter registration that make it easier to vote. Voting experts say actual instances of fraudulent ballots knowingly cast are extremely rare, leading to accusations that the effort is intended to intimidate voters. "I think it's all politically motivated," said Greg Westfall, a Texas lawyer currently representing a Hispanic woman who was charged this month with voter fraud. "If you look at the timing, that's what's breathtaking." "She thought she was eligible to vote"
One case that has received national attention is that of Crystal Mason, a woman from Fort Worth who was sent back to federal prison this month because she tried voting during the 2016 election. Mason hadn't completed her five-year sentence for tax fraud at the time she attempted to vote. In Texas, people convicted of a felony can't vote until they fully finish out their sentence. Mason had served three years in prison and was then let out under a supervised release program to complete her sentence. Mason said she thought she had her freedom back and went to vote at the urging of her family. "She was told that she was not on the rolls, but she thought she was eligible to vote," said Stevens of the Texas Civil Rights Project. "And so she was given a provisional ballot. She filled that out." Provisional ballots, which were created under the Help America Vote Act in 2001, allow people to record a vote if there are any questions about their eligibility. 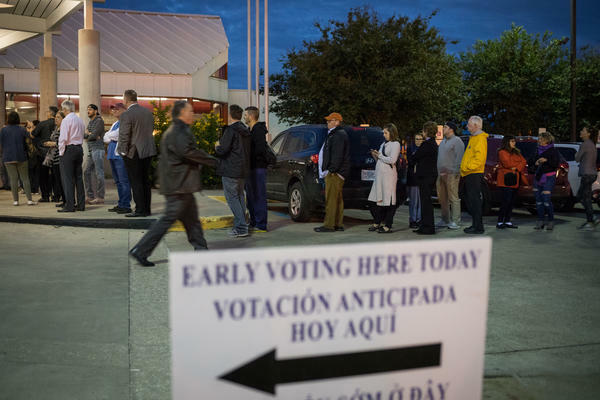 "Then the state makes a determination about whether they should be able to vote — and that's exactly what happened here," said Tommy Buser Clancy, an attorney with the ACLU of Texas. "And the system in that sense worked. It determined that Ms. Mason was not eligible to vote and her vote wasn't counted." Even though Mason's vote was not counted, Tarrant County District Attorney Sharen Wilson charged Mason with illegal voting. Wilson has said in statements that she believes Mason knowingly signed a ballot that clearly stated who can vote and who cannot. "She signed and affirmed a document which clearly stated that (1) she was prohibited from voting due to her status as a convicted felon still serving her term of supervision, and (2) she would be committing a second degree felony if she lied about her status," Wilson said in a statement to NBC 5 in the Dallas Fort-Worth area. Mason now faces up to five additional years in prison, this time on state charges. Mason's attorney, Alison Grinter, believes the prosecution is an attempt by the Republican Party "to hold on to power" in Tarrant County, the county that is home to Fort Worth, where Mason is from. Currently, the Fort Worth area is considered the last Republican stronghold in any major urban area in Texas. "First of all, it intimidates voters of color in Tarrant County," she said. "But second, it gins up evidence that can be brought down into the legislature to show as evidence that in-person voter fraud is a real thing, when we know that it isn't." Grinter said the state's charges, and Mason's subsequent return to prison, have been really hard on Mason and her family. She said it's been particularly hard on Mason's mother, who repeatedly urged her family members to vote. "What happens in Texas goes to the rest of the country as a model"
Clancy of the ACLU, and other voting rights advocates, said what happened to Mason is part of a voter suppression effort in Texas. "I think that Crystal Mason's case is an exemplar of the state using resources to intimidate people from voting," he said. 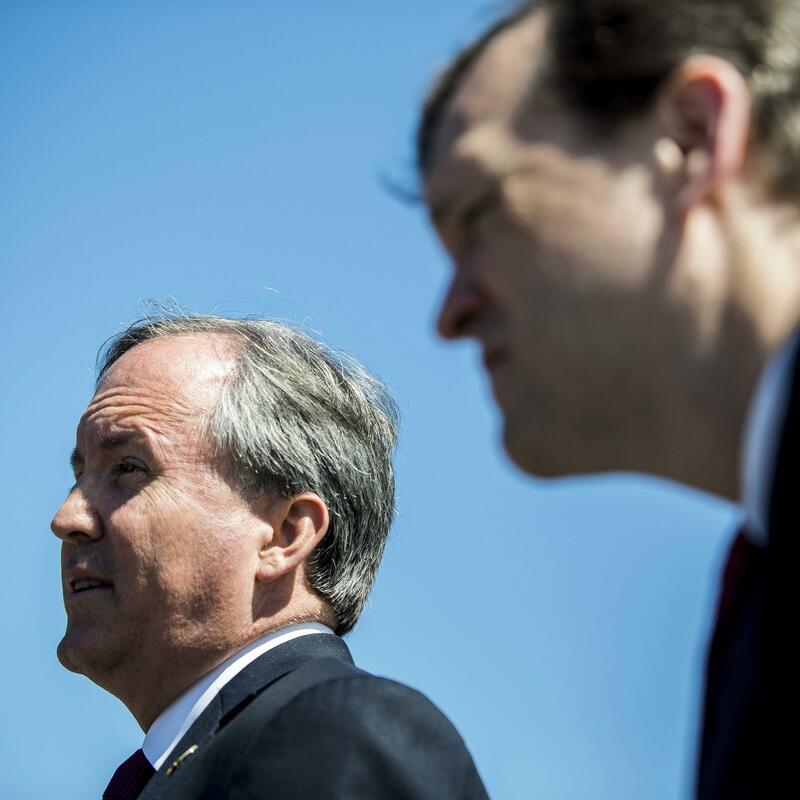 The Texas attorney general's office didn't respond to multiple requests for an interview. Paxton announced a so-called "Election Fraud Unit" this past February. Its sole purpose has been to prosecute voter fraud. Stevens says that unit has recently been reaching out to local election officials in Texas in an effort to get more cases. Her group has also started collecting data on all this — and Stevens said there is evidence people of color are getting the toughest sentences. She said Mason – who is black – is just one example. "The fact that there is this concerted effort in Texas to prosecute these cases to the full extent – particularly against people of color – is supremely troublesome," she said. "And then we know what happens in Texas goes to the rest of the country as a model." "They have prosecuted an average of around 30 election violations since 2004," Pérez said in an email. "To be sure, the AG started the Election Integrity Initiative in without evidence of increasing elections violations," Pérez said. And Crystal Mason has said that she feels targeted. About a month before she was sent back to prison, she posted a video on Facebook announcing that she was holding a voter registration drive because she did not want her story to scare people from voting. "We already know that this is more about voter suppression," she said in the video. "But we are not going to let that happen."